Absolutely the best cam straps you can buy! 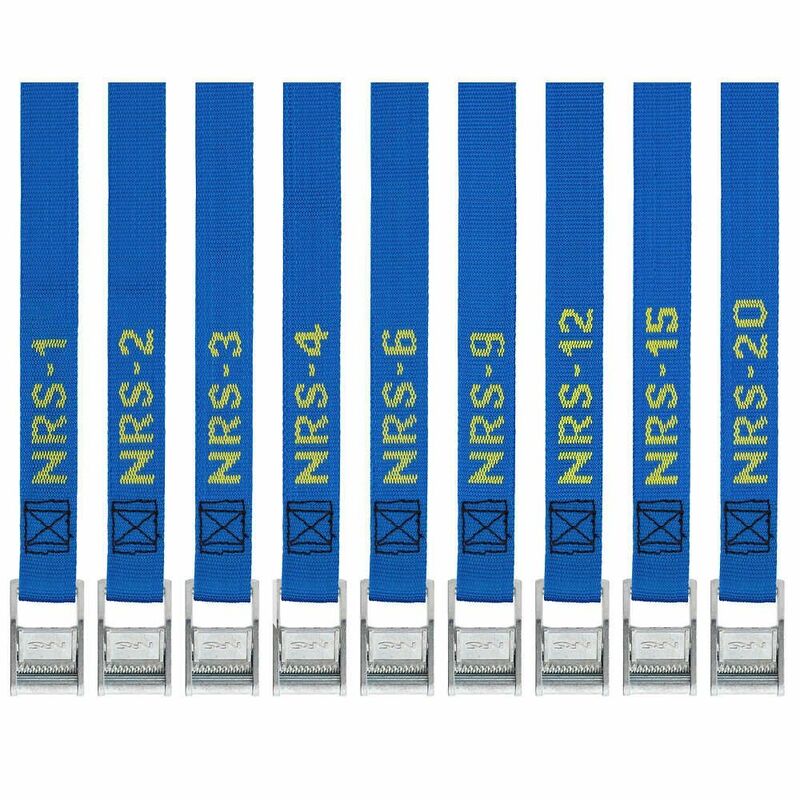 The NRS 1" HD Tie-Down Strap has been the first choice of rafters, kayakers, canoeists and other outdoor folks for over 35 years. Our 1" wide polypropylene webbing has a tensile strength of 1,500 pounds, so you can lash down your gear with confidence. We also soak the webbing in our proprietary UV protectant for long life in the sunny outdoors. Two center-mounted stainless-steel springs give our cam buckle a stronger, more secure grip on the webbing. The length of each NRS tie-down strap is woven right into the webbing, so there's never any guesswork when choosing the right size for the job. You can buy single straps of each length. 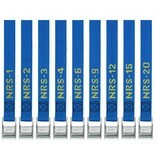 We also offer a pair (two straps) of the 9', 12', 15' and 20' lengths as a purchase option. A waterproof 1" x 3" tag near the buckle gives you a place to write your name and contact info to prove to your buddy that it's your strap, NOT his. Rafters, kayakers, canoeists and other water folks love these burly cargo straps. Yes, they're the gold standard for boaters, but savvy people have found literally hundreds of other uses for them. You'll want these straps for your boating gear bag, car trunk, truck bed, ATV, camper... everywhere. Ask any boater and they'll tell you, "You can never have too many."